Are America’s schools doing a good job educating K-12 students about technology and engineering? Last month, the National Center for Education Statistics arrived at a noteworthy landmark when it released a report on the results of the first-ever assessment of Technology and Engineering Learning (TEL). Working to close these gaps is what drives our work here at Engineering is Elementary. One thing that I find encouraging about TEL is the novel online, performance-based assessments that were developed expressly for this initiative. Measuring what students know about engineering is challenging! But it’s an essential need as engineering is increasingly integrated into the curriculum in schools across the country. So educational researchers are scrambling to develop appropriate assessment tools. 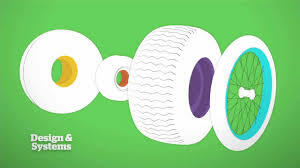 Just as an effective reading test assesses a student’s comprehension skills rather than what they already know about the topic covered in the essay that's on the test, an effective K-12 engineering assessment must measure a student’s problem-solving skills, not whether the student has assimilated a bunch of engineering facts. The NAEP tools seem promising in this regard—a genuine leap forward in the design of online assessments. Developed with input from video-game designers, they’re nothing like the familiar pencil-and-paper “bubble” tests where you answer multiple-choice questions. Instead, students work at computers, where they‘re presented with series of virtual scenarios (or “tasks”). Each task is an engineering design challenge that middle schoolers can relate to: improving a habitat for the science-class iguana, for example, or designing a bike lane that will get riders safely across town to a park. Kids get background information about these scenarios—what kind of environment iguanas need, or guidelines for how wide bike lanes should be depending on traffic speed—then, they’re challenged to solve the problem. Besides evaluating problem-solving skills, the TEL aims to assess students’ understanding of technological principles and ability to use technology to communicate and collaborate. TEL also collects information on whether students get opportunities to learn about technology and engineering in school or at home. You can check out some TEL scenarios yourself—they’re available on the NAEP website. 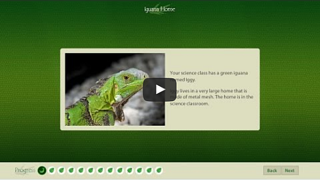 Each one is highly interactive; they present background information through short videos or slide shows, then guide you step-by-step through the engineering design process: which heat lamp is most appropriate for the iguana habitat, and why? Should the sides and cover for the iguana's cage be mesh or plastic, and why? Your score is based on the design choices you make at each decision point and also your rationale for each choice. NCES staff and students who pilot-tested these activities reported that students found them highly engaging; I did, too. And I was interested to hear that some students who took the TEL said afterward that they “learned from the assessment itself,” and that it was fun. That is not something you hear about most tests! I’m excited to see these new assessments, and I congratulate the NCES designers on what they have achieved. There’s plenty of work still to do, but the TEL is an excellent start.